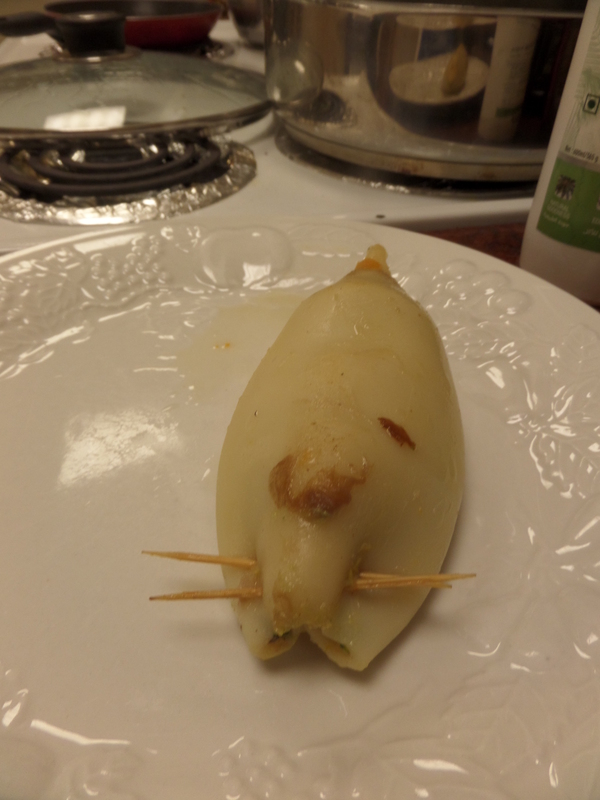 I was really craving some classic Asian flavours, and was inspired by a clip from ‘Gordon’s Great Escape’ where Ramsay tries stuffed squid. 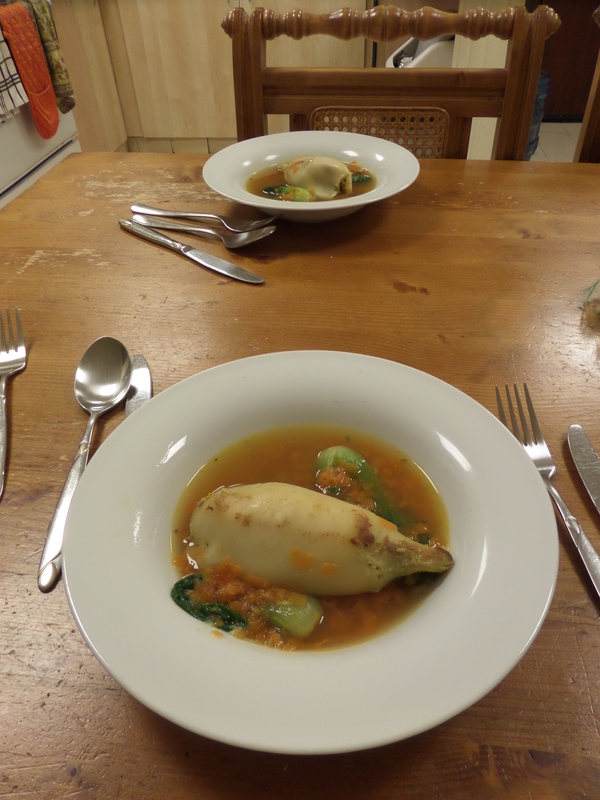 Combined with the ingredients I had available in the fridge, the result was a really tender and juicy stuffed squid, in a light broth. I’ll definitely be making this one again! I didn’t have any minced pork on hand, so I used the next-best thing: some bacon (only a few strips, as this is a rather precious non-commodity over here!). After frying it in some coconut oil, I blended the bacon with cooked prawns and onions/garlic/shallots that I had fried in the bacon fat. I also added ginger, a little fish sauce and tamari soy sauce, black pepper, lime zest, fresh coriander, kale, basil and parsley to the mix, ending up with a chunky paste. 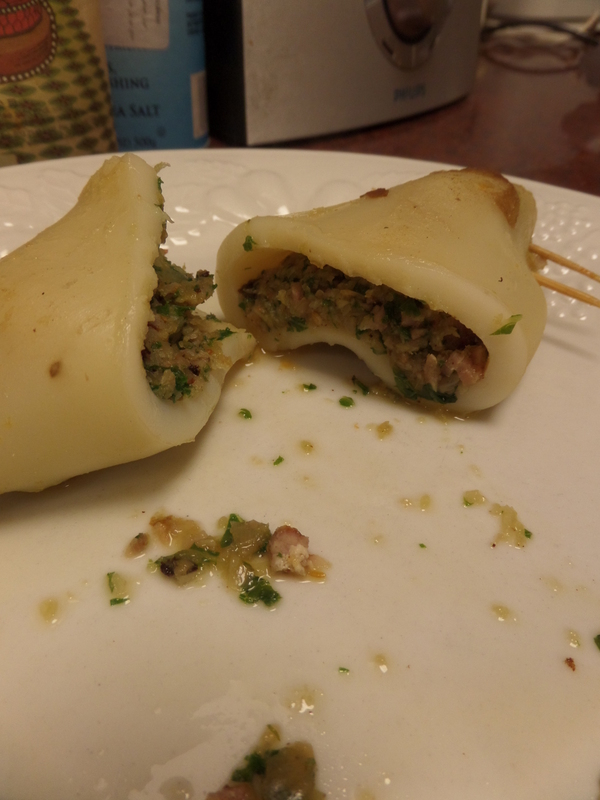 I stuffed 4 squid tubes with the mixture and sealed the ends with toothpicks. 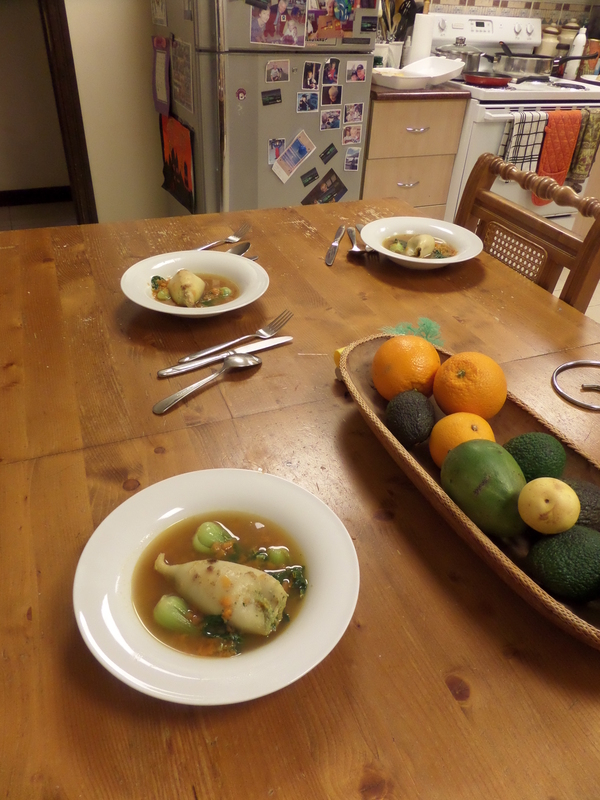 I then used some chicken broth I’d made the day before, and infused it with ginger and garlic to make a light broth. After pan-searing the squid on both sides for about 2 minutes to add a little colour, I put the squid in the broth and left to simmer for around 20 minutes. 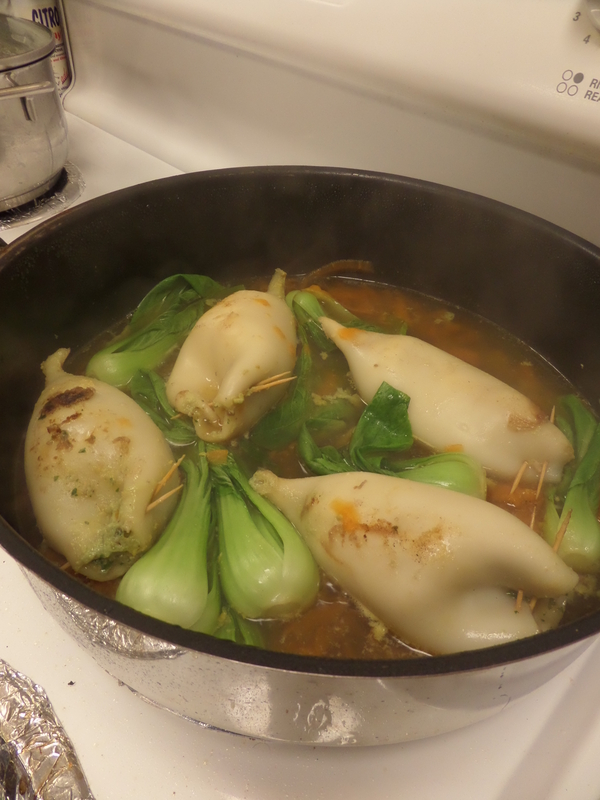 I then added some bok choy and grated carrots and steamed for another 4 minutes or so, until tender. Posted in dinner, seafoodTagged squidBookmark the permalink.